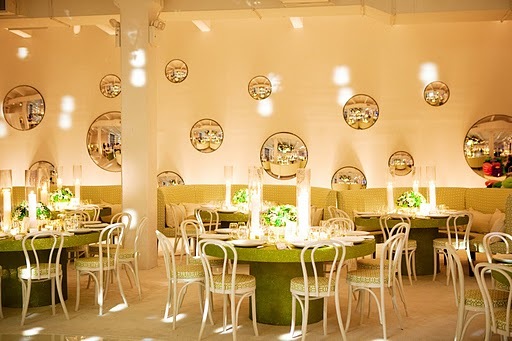 I came across this equestrian themed Bat Mitzvah on The Martha Blog and was so impressed by so many of the details! 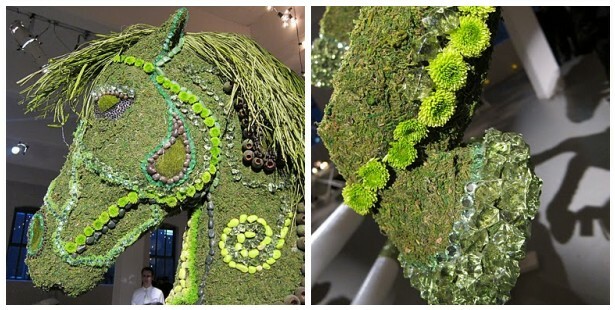 Guests were greeted by amazing horses that were covered with moss, stone and flowers AND the hoofs were adorned with diamonds. I LOVE how the bar table was decorated with equestrian trophies made with flowers. 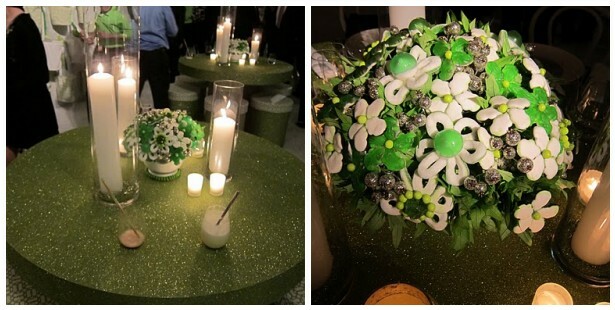 The “flower arrangements” on the kids dining tables were made from green gummy rings, bubble gum and other candy. One of my favorite elements is that the favor bags were made to look like feed bags. What a wonderful celebration this must have been!